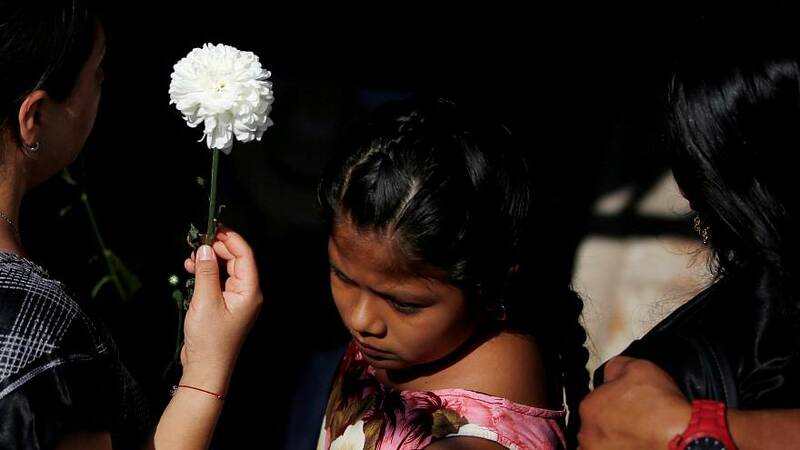 As the race to rescue those trapped under the rubble in Southern Mexico continues following the countries worst earthquake for the best part of a century, the families of the 65 confirmed dead have begun to mourn their loved ones. However, with the emergency services saying they do not expect to find any more survivors beneath the debris and with tropical storm Katia pounding the central American country, these may be the first of many funerals. Rescue efforts are currently focused on the states of Tabasco, Oaxaca and Chiapas, which were most affected by Thursday’s 8.1 magnitude earthquake. Tens of thousands of emergency packs and one hundred extra police officers and rescue dogs were sent to Juchitán, where at least 37 people were reported dead. Meanwhile in the eastern state of Veracruz, where storm Katia made landfall on Saturday, local officials are concerned that the high winds and deluge of rain could still cause landslides and flooding, which have already claimed two lives. The tropical storm, which was downgraded from a category 1 hurricane before it hit Mexico, is still expected to bring some six inches of rain to the region and prompted authorities to set up emergency shelters to protect residents.